and the wisdom to deal with it as our Hopi brothers. Hopis or the present age. boundaries of our present Universe. three axes and several vibratory  centres along these axes. biggest is made on the basis of this plan. is made in the image of the creator. The central axis in man lies along his backbone. bone at the base of the spine. actionless, omnipresent, and eternal Creator. These vibratory centres also exist in the Mother earth. the universe by the Ultimate Creator "Taiowa". which echo the sound of the creator. as the Fifth World by the Hopi people. > The Hopi believe the Creator of Man is a woman. > The Sumerians believed the Creator of Man was a woman. weaving the web of life). the one who has woven the web of life. sign, which lasted from around 8000B.C to 6000B.C. > The Hopi believe the Father Creator is KA. > The Sumerians believed the Father Essence was KA. Sanskrit, the primary language of the Vedic tradition. provider and destroyer, in both the cultures. over the affairs of the earth. Age of Gemini ranging from around 4000 B.C to 2000 B.C. > Sumerians believed AK.U to be Beings of light. this constellation and the beings that reside there. > would one day return to assist the Hopi and humankind. > from heaven who would return. pieces are finally falling together. of the Sun, Earth, Wind, Water and Fire. according to the ancient Indian Scriptures. itself a tribute to the forces of Nature. 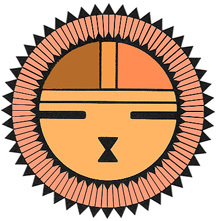 resources is known to the Hopi people. problems faced by the Hopi people. faith in the Great Ceremony. coming close and so it is a time of great caution. people because the Hopis and Indians share a common destiny. and love and we pray the Hopi people will rise to occasion. come to these lands and to meet with the Elders. his trip for us while here. visitors each month who read our information. making such arrangements for him on our behalf. including boarding, lodging, travel, and consulting. and wish to thank you for allowing him to come.